What: This is our regular monthly meeting. We’ll begin with our shared gluten-free meal (many items will also be dairy free, refined sugar free, etc., but all delicious). We’ll be socializing and checking out the latest additions to our library at the beginning of our meeting before we start our meal. 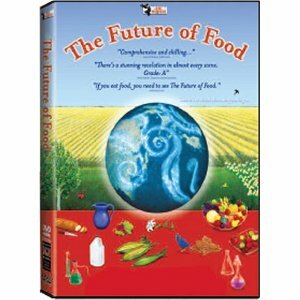 Then we’ll be viewing the movie, The Future of Food. This movie was donated to me and our group by my good friend, Elana Amsterdam (Elana’s Pantry). It’s not a new movie, but its a topic that’s vital to everyone’s health—gluten free or not. The movie is 88 minutes long, so I’m not sure we’ll get through it all. We may save part of it for our February meeting. Most likely, we’ll start the movie shortly after we start eating so we can get in as much as possible of it. For a food theme, let’s go with fare that works for the movies … nachos, chicken fingers, popcorn, treats, and such. I’ll make a pot of soup or chili, too. And, of course, salads, breads, and such are always welcome. Note that the theme is always a suggestion for the foods/dishes that you bring, but it’s not a requirement. Hope that many of you will join us!